She was day dreaming again. In her dreams she saw the tall,dark, and handsome knight storm into her room with flowers, wine and an escape route from her hell hole. She thought she was dreaming so she did not answer. “Ifetomi where are you? !” The voice called her again, impatiently. Now, she was sure it was her name. She recognised the voice. It was Adunni, her beat friend of three years. She jumped out of her bed excitedly. This was the first time she was getting a gift on valentine’s day. The only person who gave her gifts on valentine was her mother. Every valentine she would pretend that the gifts her mother sent her were from Tayo, her crush. She would imagine Tayo holding her hands and singing her favourite soap opera’s theme song ‘Passion for life.’ Then he would give her the wonderful gifts he got and peck her. She wasn’t sure she would want to kiss him since she didn’t know if he brushed his teeth well enough. They looked clean but would his saliva be as clean? “Ifetomi, where are you hiding? !” Adunni voice broke through her thoughts. She could tell her friend was getting angry so she put her day dreaming on hold to be continued later. “Adunni gets angry too much sef” she thought as she ran out of her room and headed towards the direction the voice was coming from. “Alright, come straight to class, your gift awaits you.” Adunni shouted back at her. All these thoughts ran through her head as she approached her class. She entered the class wearing a big idiotic smile on her face. She rushed to her desk and started to open the bag placed on it. She was too excited to notice no one said anything to her in class. Everywhere was silent. Her classmates were all staring at their books. Finally she opened the bag and she saw a bottle of wine with an odour that suggested that the liquid was urine, a pack of cheap lollipop,and used lingerie. She closed it immediately and looked up hoping no one saw her stricken expression. Luck was not kind to her. All eyes were glued to her. As if there was a timer, a heartbeat later, they all burst into laughter. Their laughter threw daggers at her heart. She cried out, desperate to block out their laughter. It was the sound of her cry that woke her from sleep. She realised it was all a dream. She heaved a sigh of relief, and was about to go back to sleep when she heard Adunni calling her. “Oh no! Please let it not be me.” She prayed. “Ifetomi where are you?.” Adunni screamed again. Ladies, there is no need to lie, and avoid that guy anymore. You can save your energy for other issues. Here are some tips to losing that parasite or stalker who is obsessed with you. Once you faithfully practise them, I assure you, he will be the one avoiding you. *Whenever he asks to see you, dig out the worse looking pair of jeans and top you have, spice it up with the scarf your mum wore when she was younger. Ensure you carry a clutch purse so that you can place it in between your armpit and arm. Hold the clutch tightly, you will give an impression that he will hope to forget! *Nothing turns a man off like bad odour. So, before you see him, go to the market and buy fish, preferably one with lots of scales. Please change your clothes but do not shower. I assure you, that will be the last time he will be asking for a hug. *Ask him for large sums of money randomly, and ensure you always remind him about taking you and your friends out. Flash him always and ask for credit. *Pick a friend of his and tell him you have a crush on that friend. That will make him rethink his opinion of you. Pay attention to his friend and laugh at everything he says. *Put the icing on the cake by informing him about your family history. Please insert in your sentences, how all your sisters gained lots of weight after their first year in marriage. There are other tips but these tips listed above are the most effective. After practising all these tips, and the guy is still love struck…run for your life! So, when I am not blogging here. Catch me at information Nigeria!!! Exciting isn’t it? Writing is such a therapeutic process!!! That was the fourth time in three days he was stealing buns from Mama Sikira’s frying pan. Usually, he would pick two but that day he had not taken breakfast so he stole five instead. He stuck two into his pocket, wiped his mouth with his oily hand leaving traces of his crime around his lips, and headed to school. He was not a student. However, he would hide behind the windows and recite whatever the teachers taught the students. Every year, he did this and he also promoted himself. Each year he knew that his ‘class mates’ moved from one class to the other. So, he would move from one window to the other until he saw familiar faces. This year he was in primary three. He knew this because the maths teacher always screamed ‘you useless primary three students!’ whenever they missed a question. The school looked like a house divided into different rooms. It had no gates. It was surrounded by dead looking trees. The teachers were frustrated graduates that came to work to earn enough money to live for the next day. The only reason no one had ever caught him these past years was because no one cared. People who saw him hanging around the school thought he was the food seller’s son. He liked listening to the teachers talk. They all sounded the same. Bored and angry. However, he liked the knowledge they shared reluctantly with the students. He wondered why the teachers were so mean and the students, slow. The other time, the elementary science teacher asked the bald headed boy that sat at the extreme end of the class. ‘I don’t know sir.’ The boy replied. ‘You will never know it in your life! Idiot.’ The teacher cursed at the boy. While the teacher was screaming, he was tempted to pop his head through the window and give the answer. ‘These students are so dumb. I can’t wait to graduate.’ He thought. He had one more class so he brought out the remaining buns to eat. The English teacher came into class, and he quickly put away the buns as if the teacher could see him eating behind the windows. The teacher gave the students a test. Although he couldn’t write the questions. He knew the answers. As the teacher proceeded to grade the tests, he made a mental note to buy himself a note book or steal one. ‘At least I would be able to write my answers and grade myself.’ He thought. Follow/Add @damikuks on twitter/ facebook. The extreme want of light…camera…strike a pose! The crowd is waiting to cheer you. If you like this post add/follow @damikuks on twitter/facebook. She knew he was there even before he spoke. She could feel the goose bumps growing on her skin. The air caught in her chest. Who was this stranger that had such an effect on her? He didn’t move any step nearer to her yet she could feel his minted breath on her neck. The last time she felt this way was with Segun. Sweet memories flooded back as she tried to analyse her unwanted feelings to the faceless stranger. That day started like every other day but it ended differently. 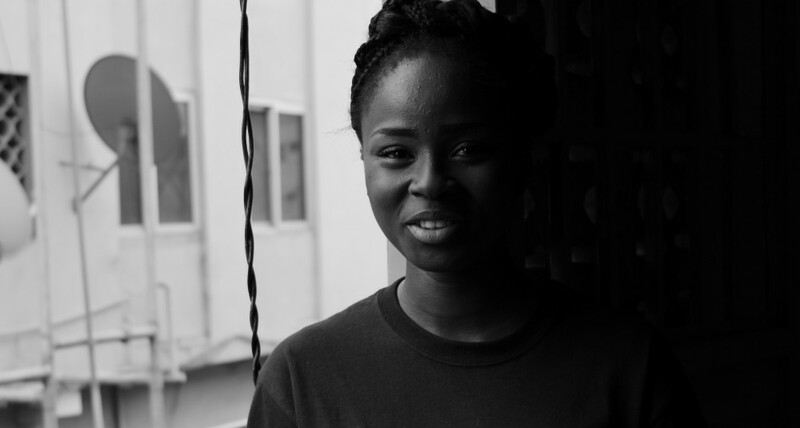 She went to Segun’s house to wait for her brother after her sewing lessons. She sat outside on the balcony as usual. ‘Oh…don’t be silly, you always sit outside like you are some unwanted visitor, I have called your brother. He is on his way.’Segun gently persuaded her. ‘I am fine.’ She retorted. Her heart beating very fast. He drew a chair and sat near her. She could feel his eyes on her yet she refused to look at him. ‘ I have a boyfriend!!! Leave me alone’ she screamed at him. She expected him to laugh or get angry at her sudden outburst. He took her shaking right hand, gently tugged at her to face him, and he smiled. ‘You will? Why?’ Her voice did not sound like her. ‘I love you.’ He replied and then he drew her closer. She thought he was going to kiss her so she puckered her lips, and prayed he did not taste the moin-moin she just ate. He hugged her instead and called her name severally, almost as if she was a lifeline. ‘Will you be my girlfriend?’ He asked after drawing away from her. After that day, all she knew and thought about was Segun. She floated through the day till she was with him. Her brother did not suspect a thing. Everything was peachy. He made her a woman on her nineteenth birthday. He did not want to but she begged him. How could he have refused her? She looked at him with her brown eyes and tiny lips begging to be kissed, and he lost his self-control. She thought the experience would be painful but it was beautiful. At the last moment before she let herself go over the edge, she saw tears in his eyes. She loved him and he loved her. Their relationship continued until Segun joined the army. He left with promises to write. He wrote to her everyday. One day, he stopped writing. She wrote several letters to him. She made phone calls. She thought he was angry. After bugging the army officer she knew was his friend. He finally told her. Segun died on the battlefield. Bitter memories flooded in as she stood on the patio remembering, Segun died fighting for Nigeria, a country that did not deserve the honour. They buried him like a commoner. Her Segun was thrown into the sea like a dog! She remembered watching it on television. The president managed to look remorseful. He chanted some words of sorrow. All she wanted to do was claw him. She wanted to add to the several tribal marks on his face. She wanted to scream, cry, and be silent all at once. It was that day she promised never to feel that way about any man again. She knew she would not survive it a second time. She swore never to let any man have power over her till tonight when she felt those familiar feelings creeping up. Defiant, and determined, she faced the stranger as if to confront him for her unresolved feelings. Moin-moin: Nigerian food made with beans. Become a chameleon so you are invisible! Why else do you think the poor are still beneath them? A wall almost crushed me! To the walls that refuse to crack.. I was in a cab when I got the inspiration to write this…enjoy!! !